Launched in 2013 in response to an increasing demand for the expertise within Westwater Advocates in all areas of commercial law, the Westwater Advocates Commercial Dispute Resolution Group comprises six of our commercial practitioners, providing specialist knowledge and experience at all levels of seniority. The Group brings together a heavyweight concentration of ability and experience in commercial dispute resolution and we are keen to share their accumulated knowledge in this important area of practice. We are available to provide relevant tailored training to legal firms and other professionals interested in the area. Nick is the Chairman of the group. He has wide experience of disputes relating to commercial matters including construction contracts and leases. He has represented some of the most substantial commercial organisations, as well as government bodies and regulators. His ability and expertise in the field has been noted by the Chambers Directory and the Legal 500 for many years. 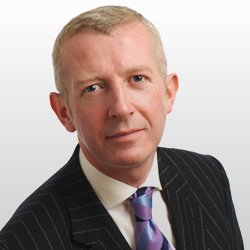 Calum focuses on commercial, professional negligence, employment and construction law. He is regarded as a real all-rounder with tremendous analytical skills, known for drilling down to essentials in papers-heavy cases, being good on his feet and skilful in cross-examination. Over twenty years he has undertaken countless high-value cases in the Court of Session. Calum is a Member of the Chartered Institute of Arbitrators and accepts appointment as arbitrator in commercial and construction cases. 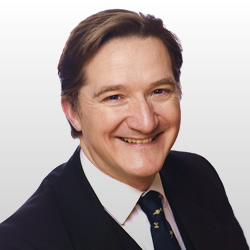 He is a founder member of the Faculty Dispute Resolution Service and a member of Core Solutions’ panel of mediators through which he has successfully helped resolve many high-value, contentious cases. 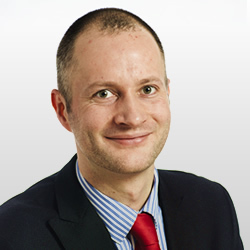 Calum teaches advocacy skills for the Faculty of Advocates and by invitation he has led courses for litigators in firms of solicitors in Scotland and England and addressed the Scottish Branch of the Chartered Institute of Arbitrators. Douglas specialises in employment and commercial work. He has appeared regularly before the Outer and Inner Houses of the Court of Session as well as the Employment Tribunals and the Employment Appeal Tribunal. He has also appeared in the House of Lords. 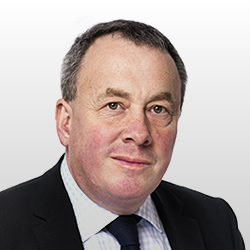 Douglas has sat as an Employment Judge in both Scotland and England and has been a senior Advocate Depute. He is a contributor to Court of Session Practice (Tottel), and co-author of Contempt of Court in Scotland (CLT). Douglas teaches advocacy skills for the Faculty of Advocates. Greg holds an LL.M. in Construction Law. 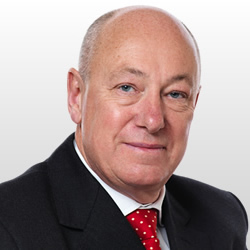 As well as commercial and construction law, Greg’s practice focuses on pensions, financial services and trusts, employment and discrimination (including adjudication and arbitration), and professional negligence cases arising in those areas. He acts for corporations, local authorities, trustees and individuals in contentious and non-contentious matters. 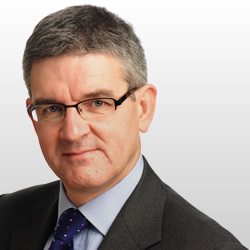 Greg specialises in commercial, contentious property and professional negligence litigation. He is experienced in dealing with insurance matters including the interpretation of insurance contracts and property damage (flooding, fire, subsidence and structural), and he has represented clients before the Traffic Commissioner. Neil is the junior member of the group. He is keen to establish himself firmly in the commercial sector and build on experience gained in the four years prior to calling to the bar in 2011. Neil worked in both corporate and commercial property departments for a broad range of clients; from small owner-operated businesses to large public companies. In his time in the front line he has acquired both commercial awareness and practical experience in commercial deals. Since calling in July 2011 Neil continues to build up his practice and has received many repeat instructions from satisfied solicitors. All members of the group are available to attend at professional offices to provide talks which would qualify for CPD under the Law Society of Scotland’s CPD scheme and, we hope, form the focus of an informative and enjoyable event. The subjects we would propose addressing are set out below, but if you or your firm has a particular interest in an area not mentioned, we would be enthusiastic to explore how we can address that too. The talks are designed to be of about 30 minutes duration, but can be tailored to meet your requirements. We envisage events comprising one talk or more, possibly at lunchtime or early evening. If you are interested in holding such an event for your office, please contact Sheila Westwater. She would be happy to provide further information and discuss your individual requirements. Commercial contracts: do they mean what they say? Insurance policy warranties and conditions. Foreseeability, remoteness and SAAMCO. Limitations on recoverability of damages. Rights of relief and third party procedure: Farstad Supply and the 1940 Act. Interim Orders and s47(2) based on Whyte & Mackay v Capstone. The Public Sector Equality Duty and Public Procurement in Scotland. Warrandice, arising out of Morris v Rae, reported at 2013 SC (UKSC) 106. For a full list of our commercial litigation practitioners please click here.